Beat This Caption Contest 140 – Caption Contest Funny Clever Witty Enter Today! 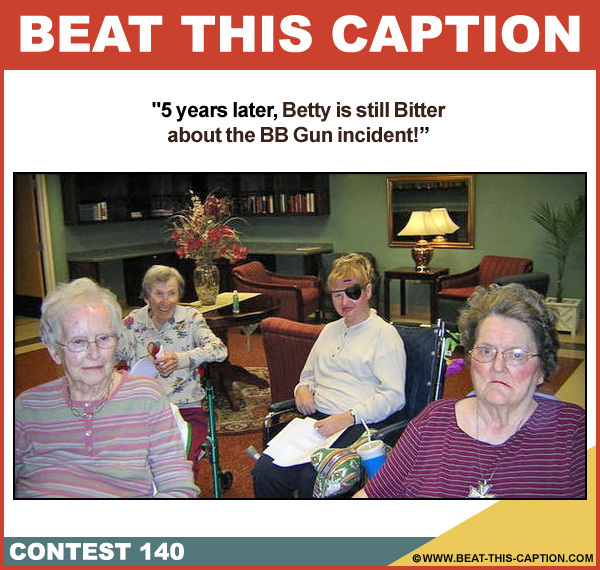 5 years later, Betty is still Bitter about the BB Gun incident! April 7th – April 13th 2013.